ARGYLE, TX / ACCESSWIRE / March 14, 2019 / Zilis® LLC, the company blazing the trail in the exploding hemp-derived CBD industry has announced the latest innovation in its Ultra Product line: UltraBurn. Targeting the endocannabinoid system (ECS) by utilizing exclusive cutting edge Mimetix™ technology, UltraBurn scorches the competition, reigning supreme as the only ESC support-based weight loss product on the market, allowing for safe, healthy weight loss. On Saturday, March 2nd at the company's annual Spring Fest event for its independent distributors ("Ambassadors"), UltraBurn exploded onto the scene as the newest industry leading booster in the Ultra Lineup. Exclusively sold to Ambassadors in attendance, orders for UltraBurn far exceeded 20,000- bottles in the first 48 hours. Zilis Founder and CEO Steven Thompson commented: "We believe good health is important to everyone, so we created a full spectrum weight management supplement to promote a safe and healthy path toward your weight loss goals. We expect UltraBurn to continue to bring value to our customers, and to help our Ambassadors continue to change lives with this dynamic, breakthrough product." Matt Andry, M.D., Clinical Associate Professor, Indiana University School of Medicine and nationally recognized weight loss expert said, "UltraBurn represents a breakthrough in healthy weight management support. I recommend Burn to my patients, because simply put, there is no other product like it." 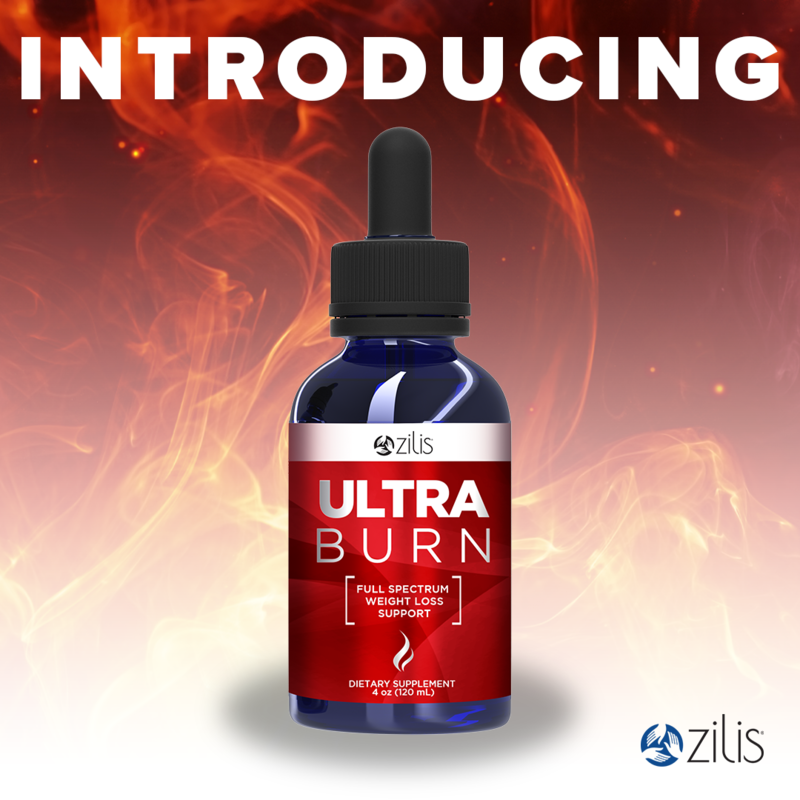 Jenny Lusby, the highest ranked Brand Ambassador in Zilis expounded, "UltraBurn is a game changer because it's not just another weight loss product. Burn is specifically formulated to support healthy weight management through the ECS." Our proprietary Mimetix™ formula with hops and green tea extracts. As a hybrid social marketing company, Zilis is the creator of UltraCell® and trusts its distributed workforce of Ambassadors to sell its product to customers either independently or through their Ambassador retail business. Ambassadors are joining the Zilis ranks at breakneck speed, with thousands joining since January 1st, 2019. Zilis has been at the forefront of the movement to educate Americans about CBD oil, which is used by tens of thousands throughout the world as a dietary supplement. Based in Argyle, Texas, a suburb of Dallas-Fort Worth, Zilis is privately held. Zilis and its Ambassadors are committed to giving back as "The Pay It Forward Company™," with donations of vitamin supplements to the developing world during 2018 and donations of UltraCell CBD oil and UltraCell Topical to our nation's Veterans. Visit Zilis.com for more information.